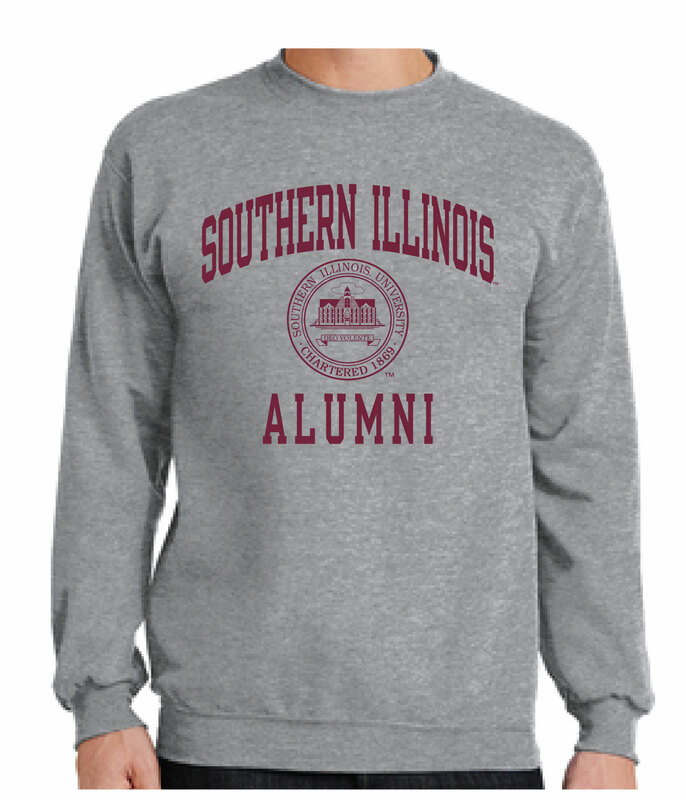 Stay warm and comfy in this maroon sweatshirt with the official SIU academic seal and SOUTHERN ILLINOIS ALUMNI across the chest in collegiate lettering. 7.8 oz. 50% Cotton/50% Polyester.